In order to develop motion hardware to meet the very specific requirements of our applicator and lab automation products Nautilus Systems, Inc. has developed a series of specialized servo motors that we have made available to the automation market. These servo motors, which can be accurately described as ‘micro’ or even ‘nano’ servo motors provide many benefits and features that have never previously been available. 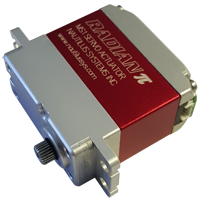 For more information about the RADIAN PI SERVO MOTOR ACTUATORS CLICK HERE. 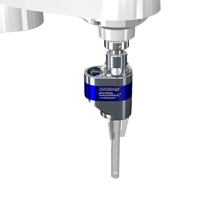 Based on our Radian Pi Motor technology we have developed a series of micro grippers that provide major benefits for automation requirements. For more information about the RADIAN PI SERVO GRIPPERS AND SERVO LINEAR ACTUATORS CLICK HERE.